Welcome to Best Western Minden Inn! At our pet-friendly hotel, the entire family is welcome, and members of our Minden hotel staff are committed to making you feel right at home. 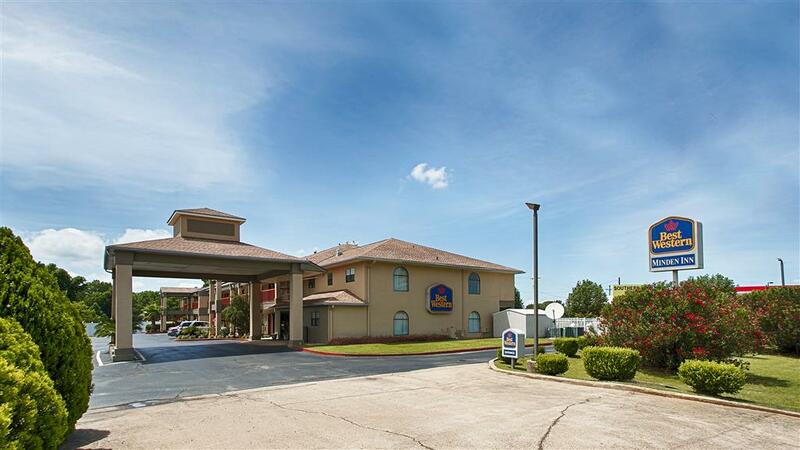 If you need to visit nearby Camp Minden, LA or Shreveport, LA, our Minden hotel is right off I-20, which makes it simple to zip around the region. Hotels in Minden, LA can't compete with our large truck parking area, which also makes us a popular resting place for truckers, campers and RVers. Our exterior corridor rooms are conveniently accessible to the parking lot, and there's plenty of space for large groups traveling together. From family reunions to vacationing families visiting Lake Bisteneaux, there's always something happening near our Minden, LA hotel. Many highway travelers choose to stay with us because it's so simple to get off and on the interstate. With ample parking, great service and an unbeatable value, we strive to make your stay with us as enjoyable as possible. At our Minden hotel, there are also a number of business travelers that consider us their home away from home. Some of our guests are in town for Shreveport events, while others have business at the ammunition plant just 15 minutes away. The oil and gas industry is big here, and we welcome employees from a number of sites. Finally, the Shreveport Air Force Base brings many service men and women along with their families to the area. If you're looking for a Minden hotel with southern hospitality and great rates, come stay with us. We'll go above and beyond to help make your stay as relaxing as it can be. If there's anything we can do to make your stay even better, just let us know. Bring your furry friend and count on our staff to do everything possible for you to have a great getaway. Book your next stay at Best Western Minden Inn and enjoy the convenient location! From: Interstate 20. Take Exit 47 and drive north to the Best Western Minden Inn.